Tru Appraisals Ltd was established in 1986. Our firm provides in-depth appraisal and consulting services for all property related matters throughout South Eastern Alberta. We provide commercial, industrial, farm and residential appraisals in the Medicine Hat area with some of our clients including, but not limited to, banks, property managers, developers, farmers, legal firms, investors and owners. 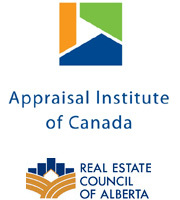 Our professional affiliations include the Appraisal Institute of Canada and the Real Estate Council of Alberta. Our experienced professional staff provides a full range of appraisal services for commercial, farm and residential properties. We operate firms in two other locations: Brooks and Drumheller. Through this web site, you can perform a number of tasks. You can order the appraisal through our online order form or request a quote. If you have any questions please feel free to call or email us.